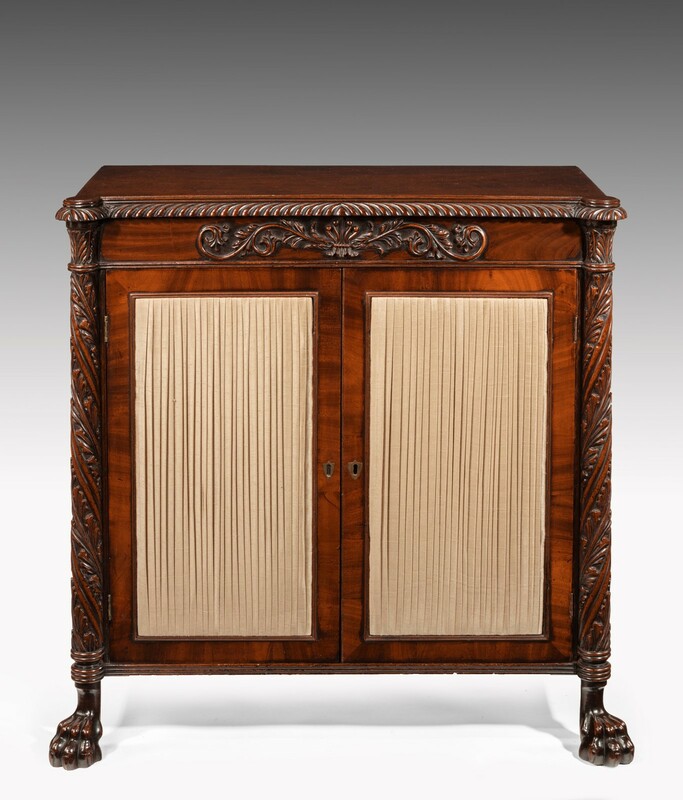 A very fine and rare Regency period Irish two door mahogany side cabinet / chiffonier. 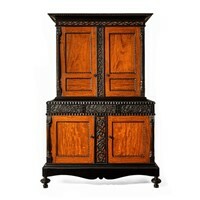 Irish circa 1810. 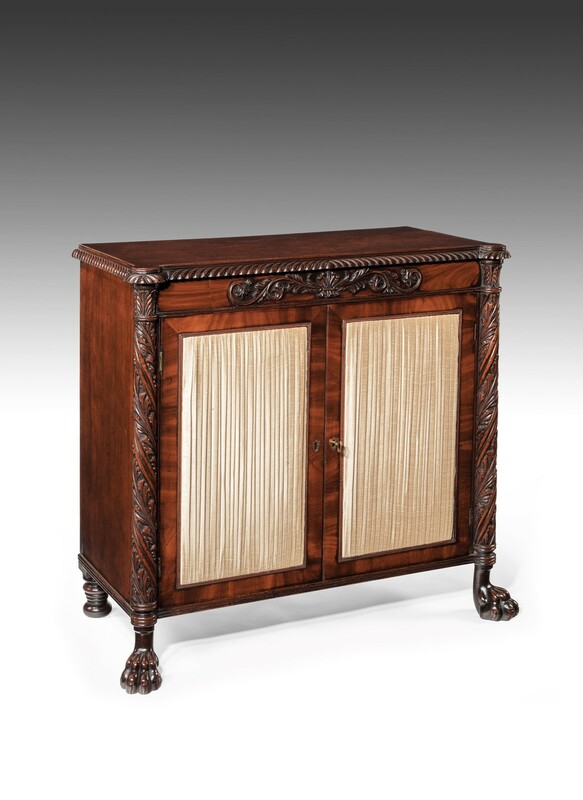 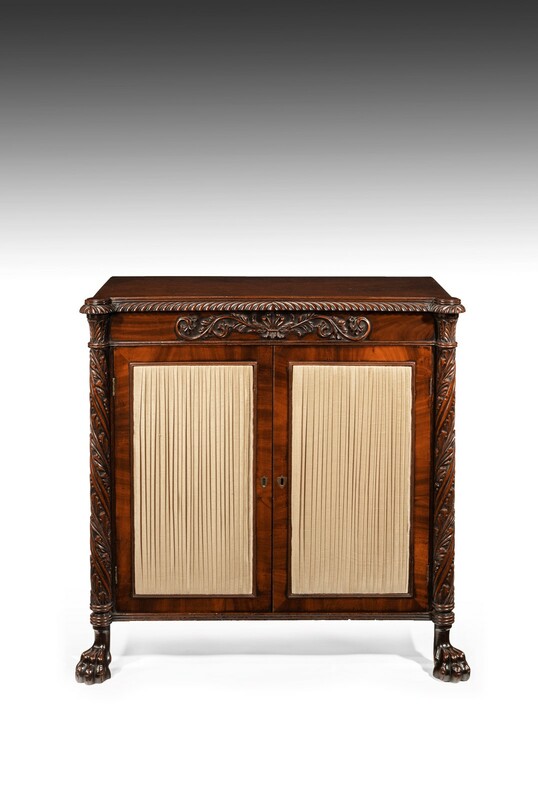 This very elegant cabinet has been designed in the manner of George Smith and Thomas Hope having Egyptian influences. 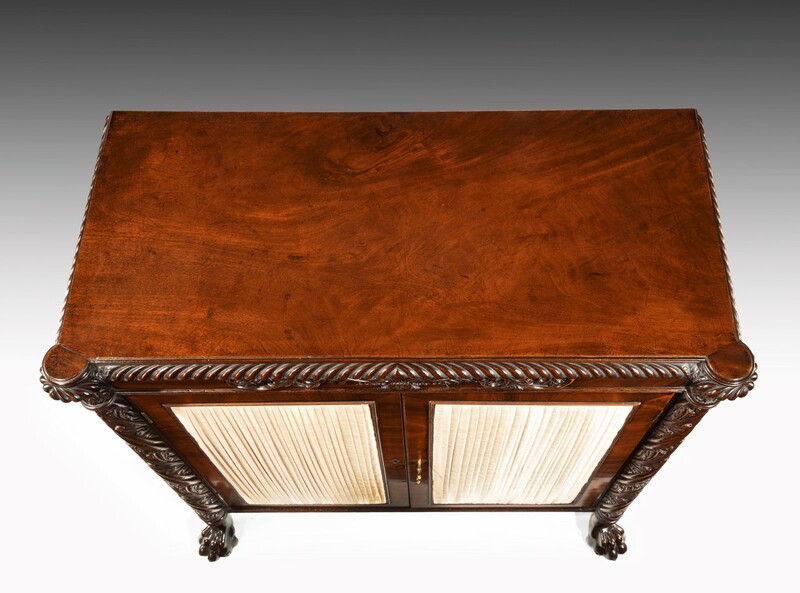 The solid rectangular mahogany top with lobed corners and a carved moulded edge over a frieze having a centrally carved anthemion flanked by scrolling foliage, below which are a pair of silk pleated mahogany crossbanded doors which open to reveal a shelved interior. 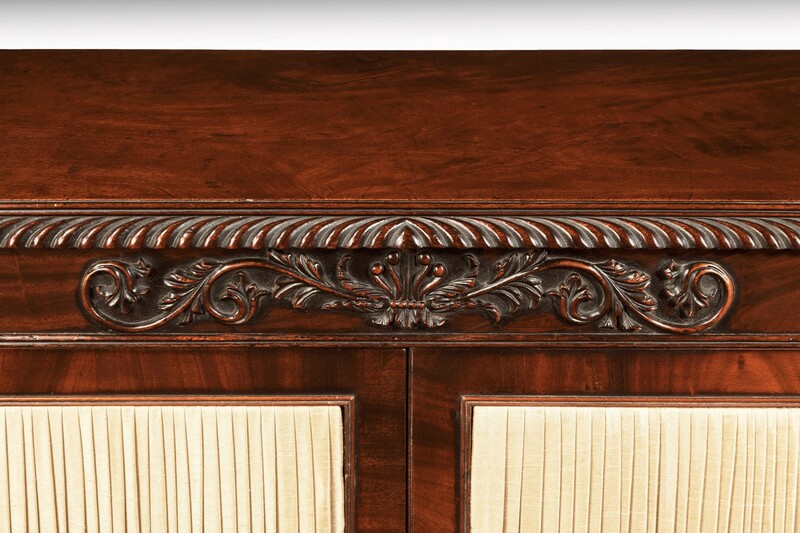 Flanking the doors are two wonderfully carved foliate twisted columns with the whole being raised on front protruding paw feet and turned back feet. 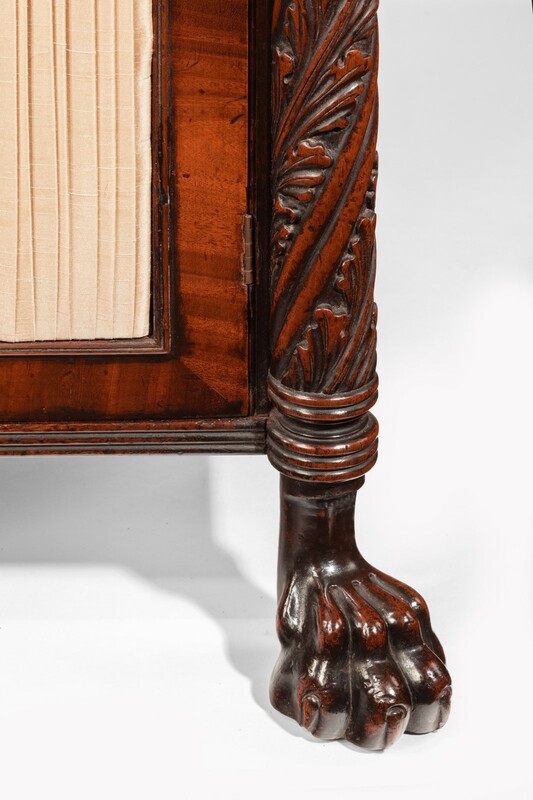 The front paw feet and carved anthemion motif are both classic Regency designs typically associated with Thomas Hope and George Smith. 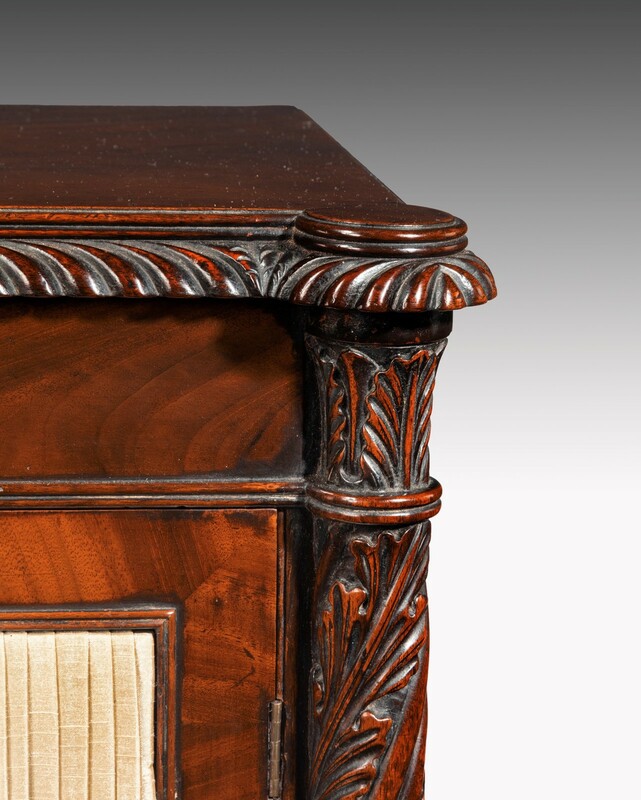 The rear foot, being in the manner it is turned, typical of Irish furniture of this period. 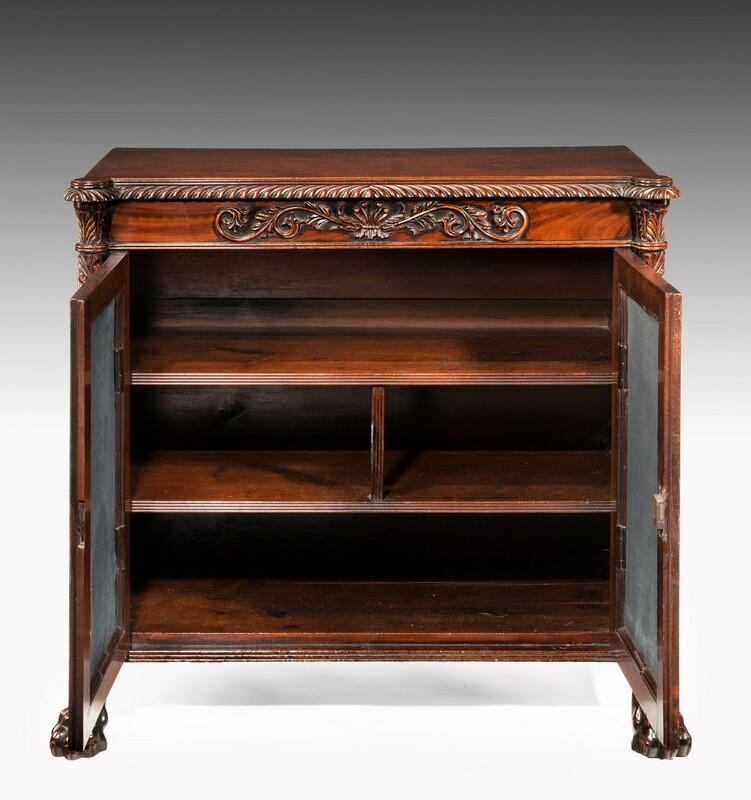 Offered in excellent condition having been restored using traditional methods, this fine cabinet of excellent design and proportions will happily grace any home or collection. 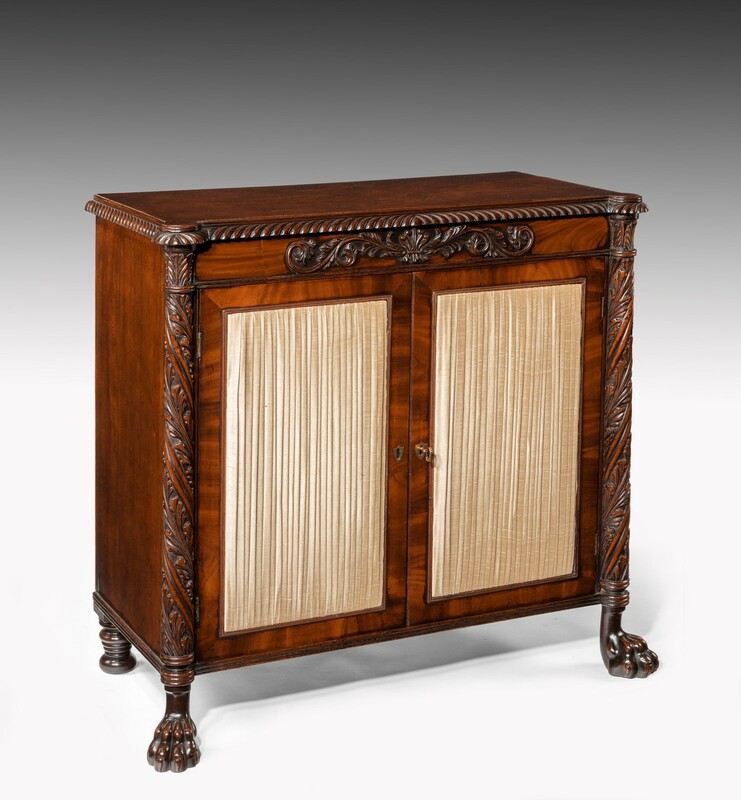 A very rare cabinet not only being Irish but also with the designs of the most famous cabinet makers of the Regency period. 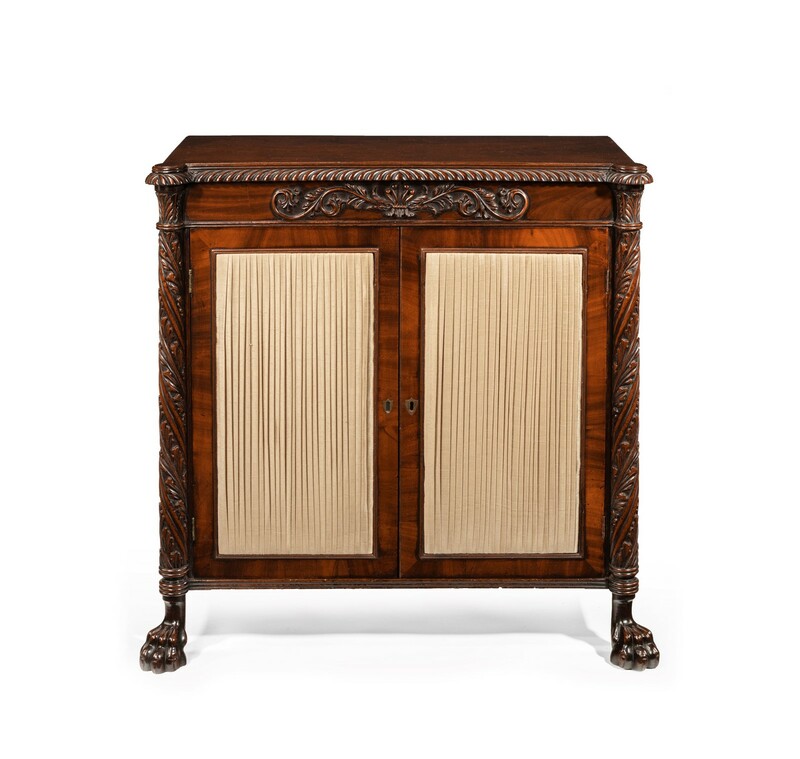 Supplied with a working key.